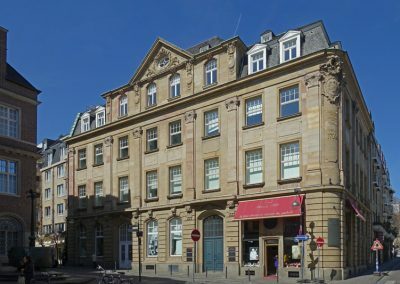 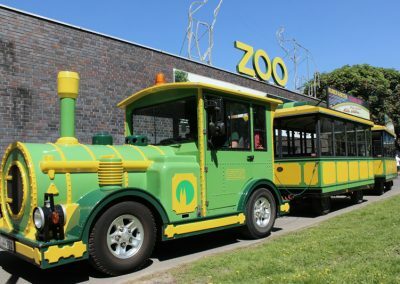 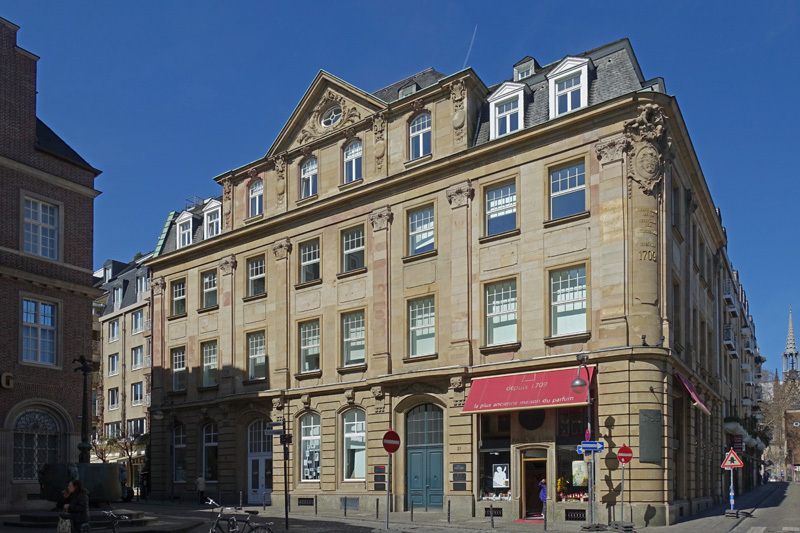 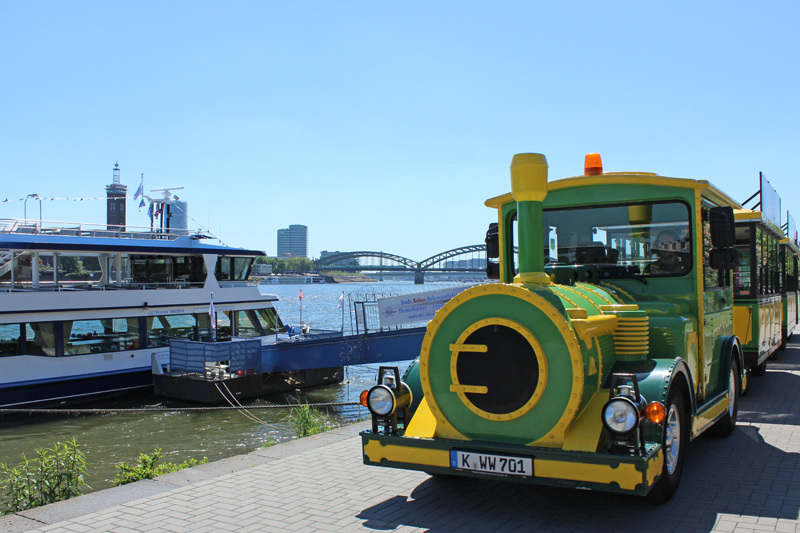 The “Zoo-Express” is ideal for all of those who would like to see a lot of Cologne but not walk on foot or are unable to do so and it is especially popular with families with children and senior citizens. 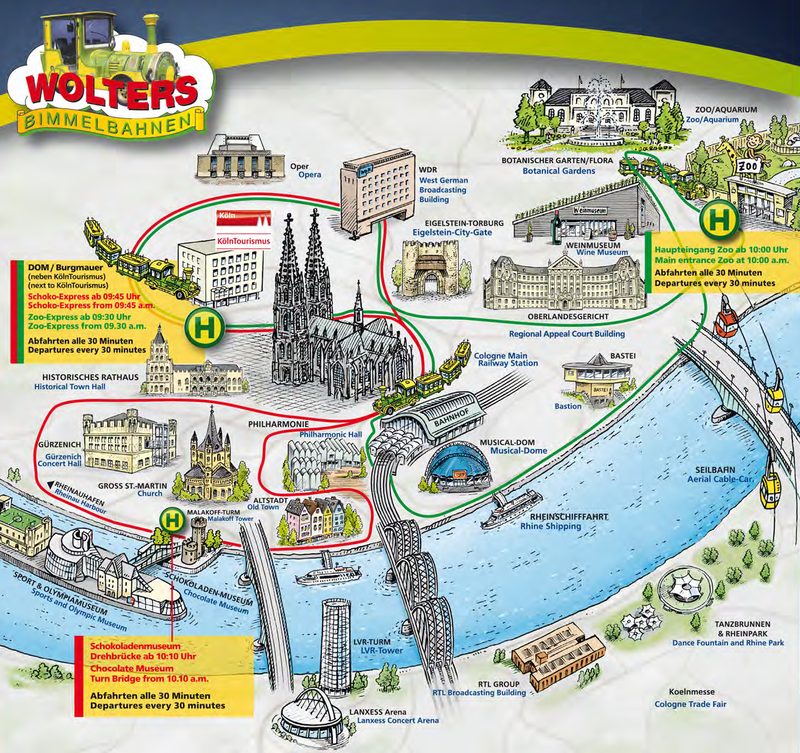 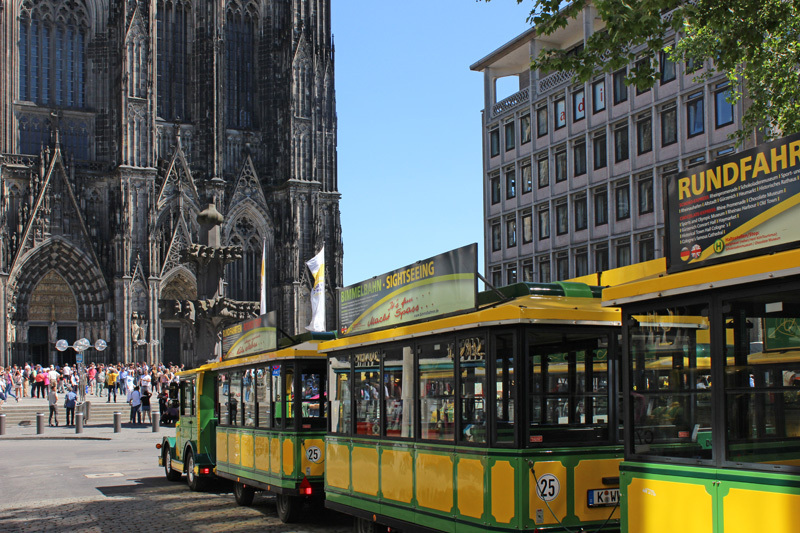 No matter if you would like to visit the Zoo or the “Flora” / Botanical Gardens of Cologne or to take the Aerial Cable-Car across the Rhine to the “Schäl Sick” (other side of the Rhine) – you are directly on site with our central stops! 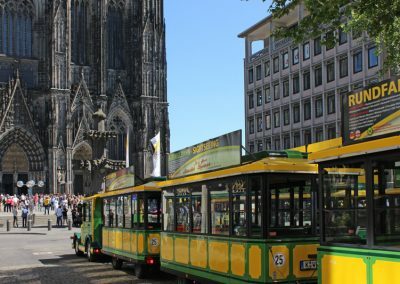 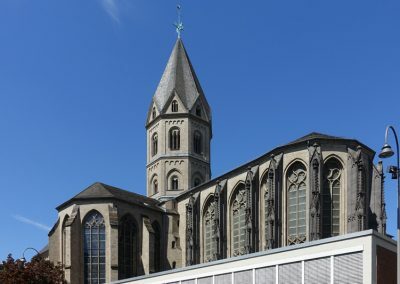 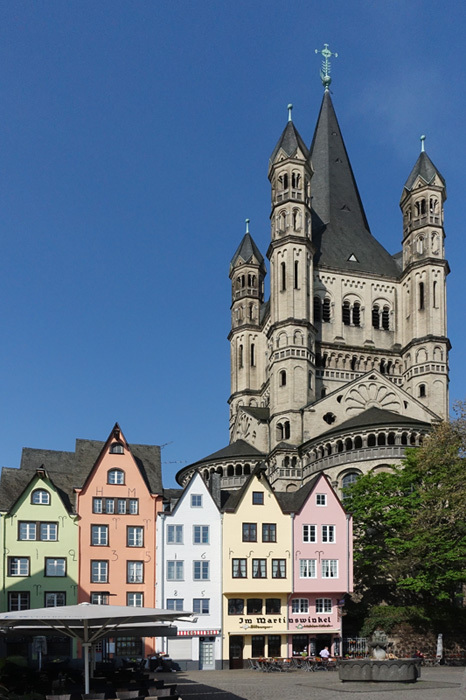 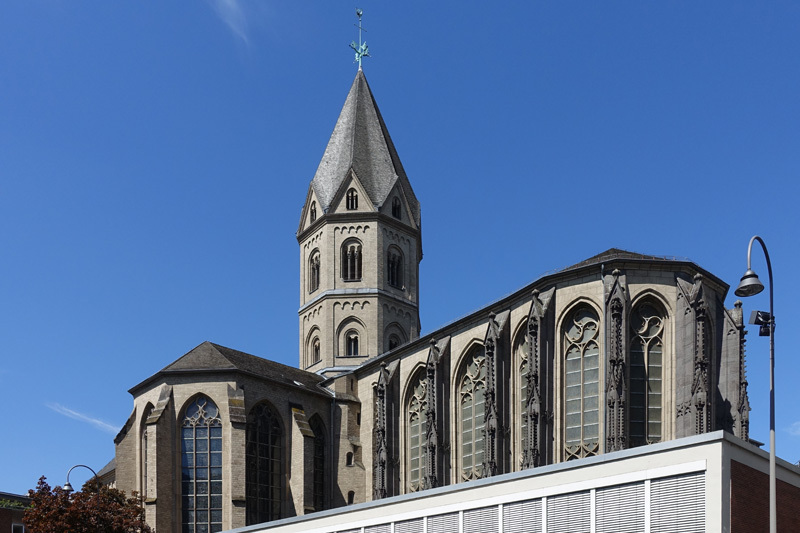 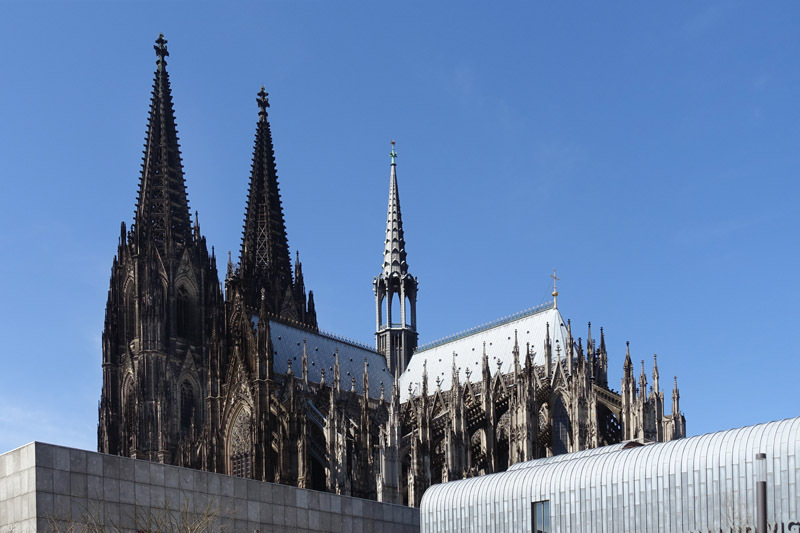 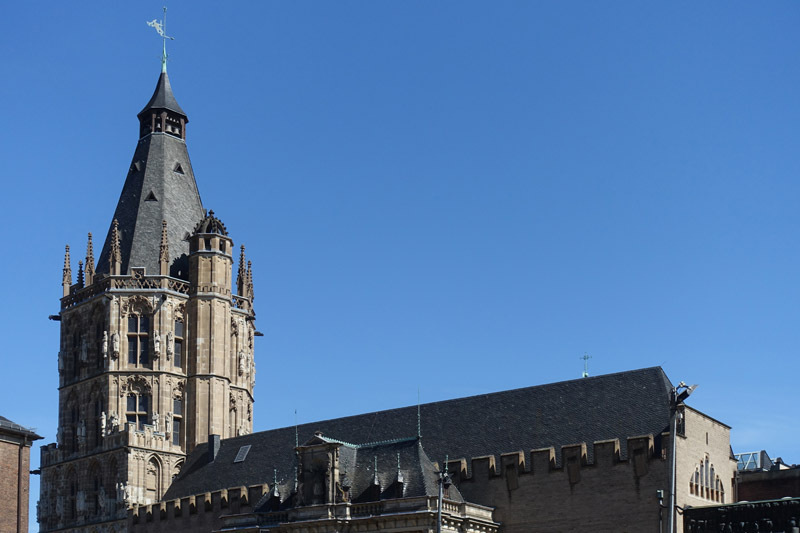 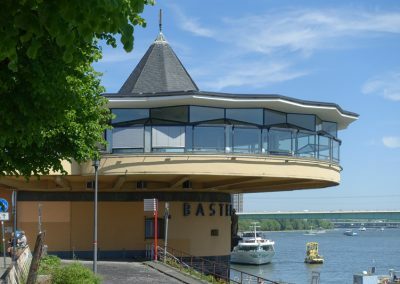 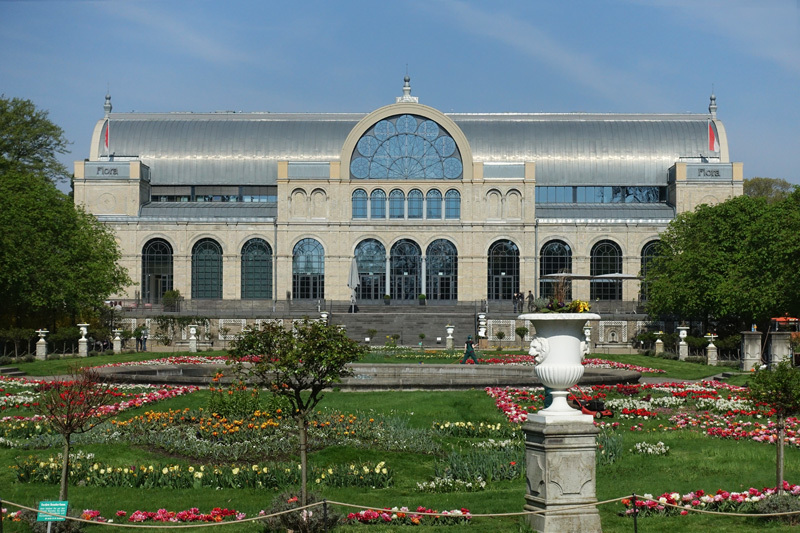 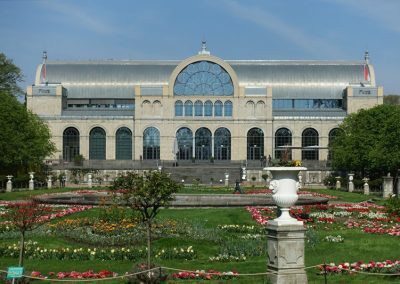 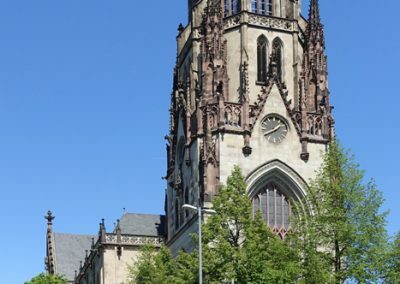 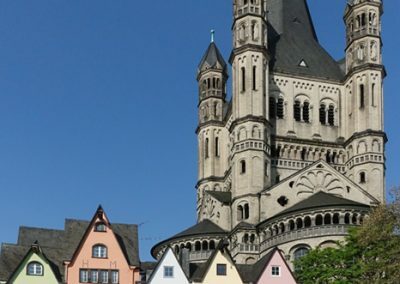 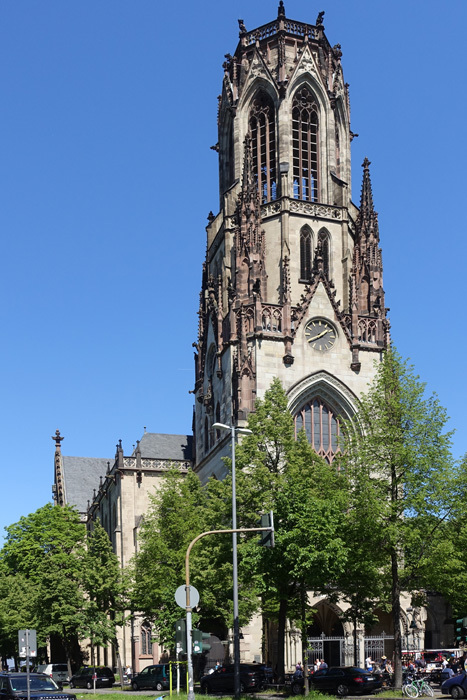 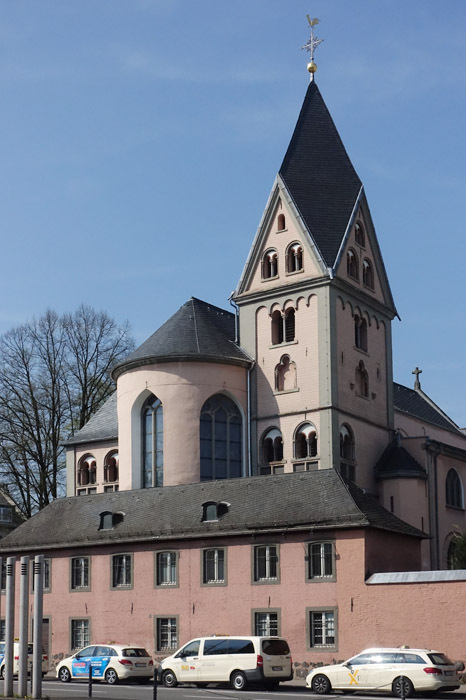 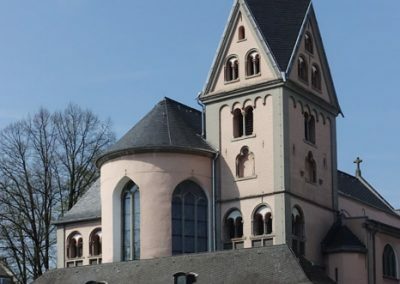 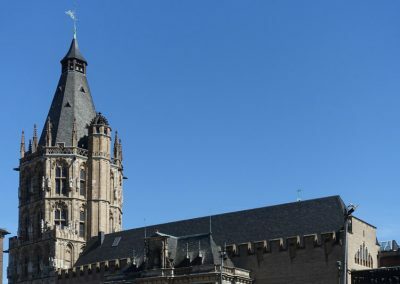 The outbound trip takes you from the “Dom” / Cathedral to the “Rheinpromenade” / Rhine Promenade with the “Tanzbrunnen” / Dancing Well to the old Fair Tower and the “Rheinpark” / Rhine Park to the Zoo / the “Flora” / Botanical Gardens. 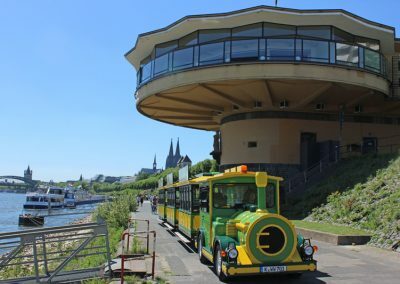 You can disembark there with the round-trip-ticket and travel back with us after a visit to the Zoo or the Botanical Gardens to the Cathedral (you make your own way back if you have booked a single trip). 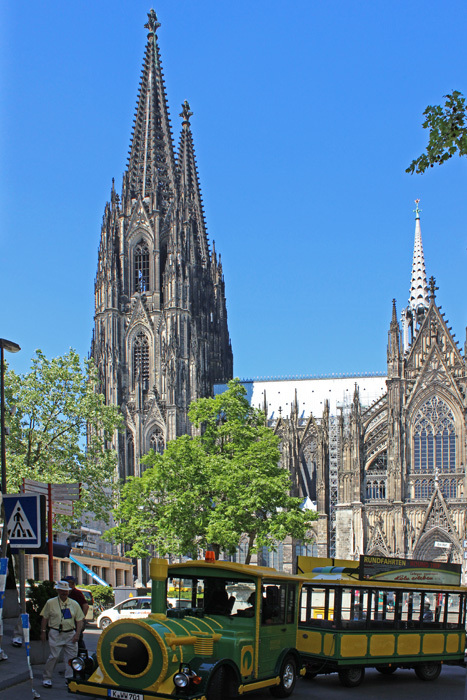 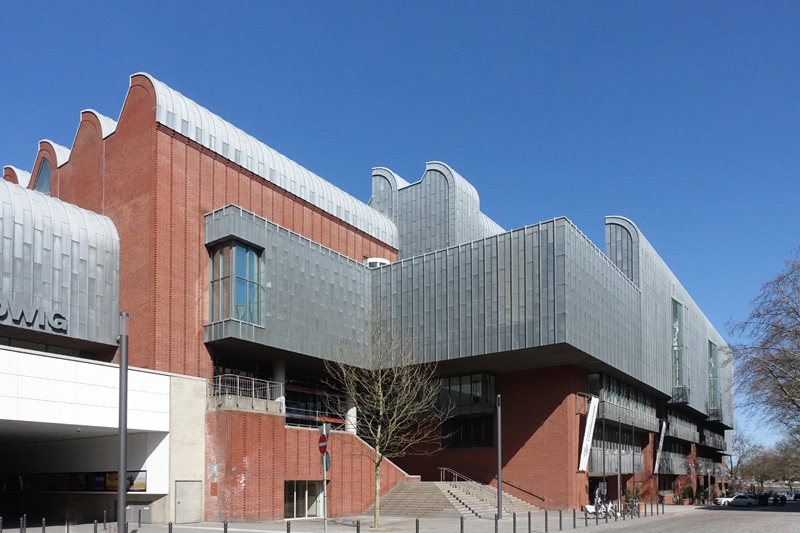 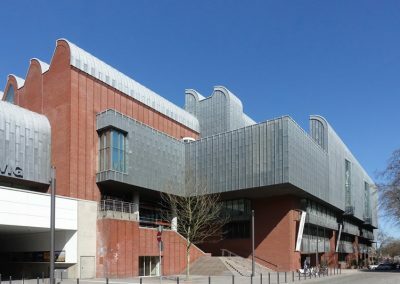 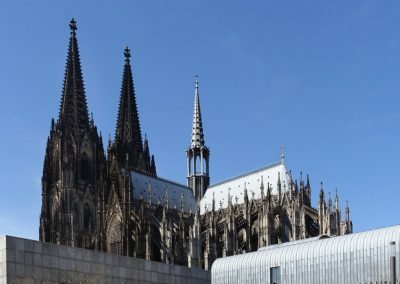 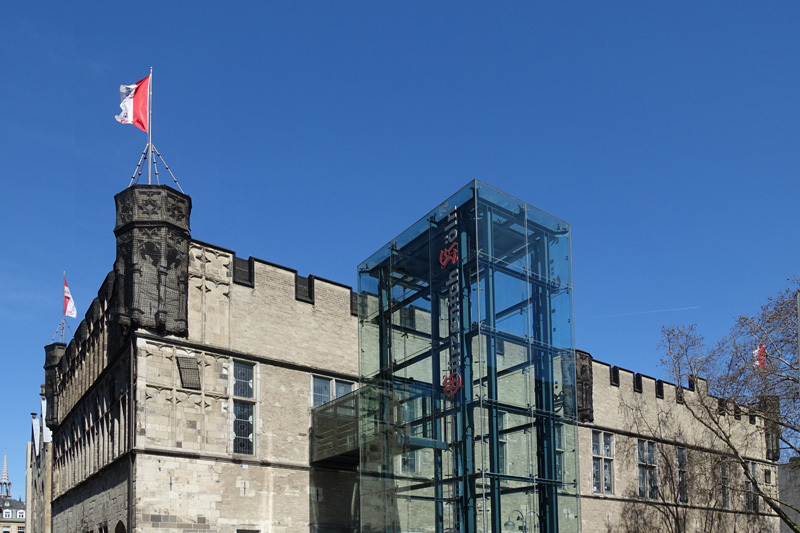 The way back takes you past the “Kölner Weinmuseum” / Vine Museum of Cologne and through the oldest part of Cologne, the “Eigelstein-Viertel” / Eigelstein-Neighborhood with its “Torburg” / Castle Gate and nowadays lively and multi-cultural scene back to the Cathedral. 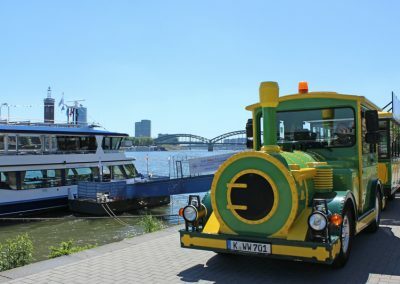 every 30 min. 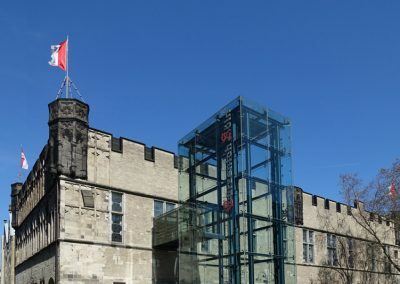 from 9:30 a.m.
Fri. and Sat. 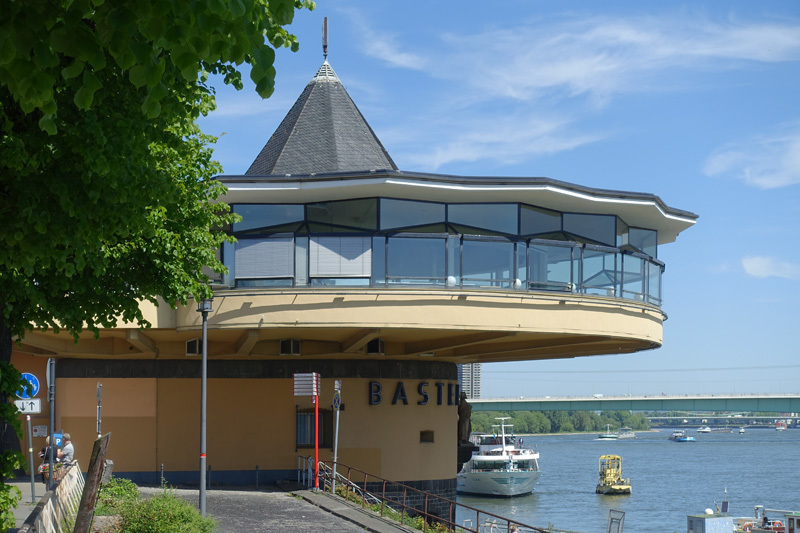 6:00 p.m.
Reservations are only handled and confirmed from a minimum number of 10 people onwards. 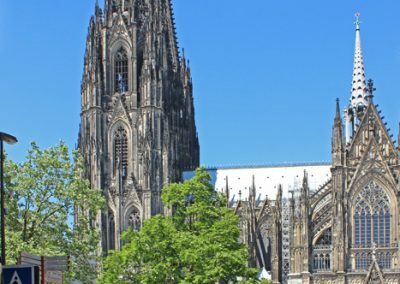 You do not need to inform us of a short-term raise by 1 or the reduction by a maximum of 10 %. 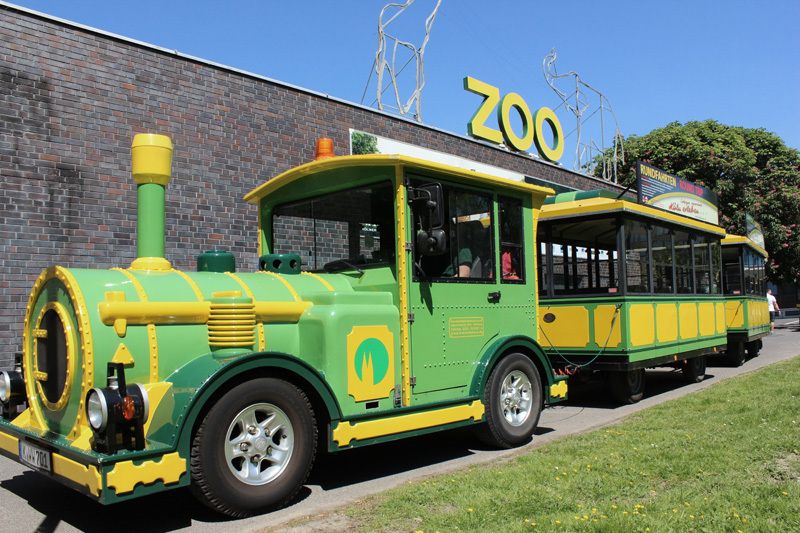 Please ensure your arrival at least 15 minutes before departure to uphold your reservation.